MALAYSIA Debt Ventures Bhd, a technology financier and a subsidiary of Malaysia's Ministry of Finance, has launched its new corproate strategy, involving the allocation of RM200 million (US$57.21 million) in financing to support new high growth sectors. The launch, which was officiated by Deputy Finance Minister Ahmad Maslan, marks MDV's new direction to support new growth areas and broaden its current core funding business of information, communications and technology (ICT), biotechnology, green technology. The new growth sectors targeted under its new corporate strategy comprise nanotechnology, advanced materials, robotics and artificial intelligence, electrical and electronics, aviation and aerospace, maintenance repair and overhaul (MRO), oil and gas, as well as transportation. "We see significant opportunities for SMEs in these high growth areas that will enable MDV to expand our scope of financing to facilitate the objectives of enhancing value of the various industries in these sectors and creating employment opportunities," said MDV chairman Zarinah Anwar. "MDV is pleased to be able to play a role in enabling the optimisation of opportunities offered by these various initiatives to facilitate the achievement of Malaysia's vision of climbing up the value chain to increase the country's global competitiveness and to become a high-income, developed nation." She also hopes that MDV's role in this regard will contribute towards laying the foundation for the development of robust high growth sectors that will drive long-term economic growth. Over the past 12 years, MDV has disbursed over RM8.8 billion (US$2.52 billion) in financing to more than 700 technology projects undertaken by SMEs. Meanwhile, MDV has signed a collaboration agreement via the exchange of agreement with Unit Peraju Agenda Bumiputera (Teraju) for the Program Skim Usahawan Permulaan Bumiputra or mostly known as SUPERB Programme. Under the SUPERB programme, MDV will be a panel member for the selection of recipients through pitching sessions, as well as providing coaching and mentoring to selected recipients. 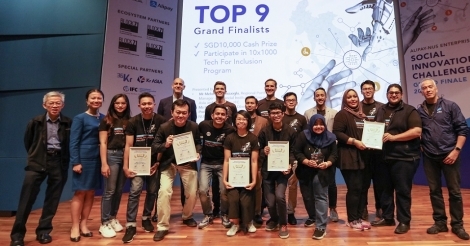 Under the agreement, Teraju will allocate RM500,000 (US$143,000) as a grant for each winner of the SUPERB pitching session. MDV will manage the disbursement of the grant. It also has signed a collaboration agreement with the Malaysian Global Innovation and Creativity Centre (MaGIC) in relation to the investment of US$3 million in MaGIC's Cerebro project. The Cerebro project will be managed by 500 Startups, a US-based eventure capitalist who will be investing in top start-ups globally and within South-East Asia. Total funding for the Cerebro Project amounts to US$10 million, jointly invested by MAVCAP, Kumpulan Modal Perdana and MDV.